May | 2014 | Lamb on a bike! I’d heard good things about the Isle of Wight Randonnee (I’d also heard good things about the Isle of Wight, though despite going to Portsmouth before (good dockyards museum, shame about the rest of the town) I’d never made it across). I’d heard it was a great route, well signposted and fantastic scenery. I’d also heard that it was hilly and had made one of my friends cry. On the back of doing pretty much no cycling at all this year, I decided that this sounded like a good idea. Getting to the island is pretty straightforward – cycle to Waterloo, jump on a train to Portsmouth Harbour, then catamaran over to Ryde. From there we followed Tanya’s Garmin, which led us on an off road trail, much to our disgust. This is Garmin’s touring model, and it seems intent on choosing the most random route to wherever you suggest, regardless of what setting it’s on. We finally re-emerged onto an actual road and I had to find a stick to dig the mud out of my cleats so we could carry on. 40 minutes after getting off the catamaran, we arrived at our campsite, a whole 4 miles from Ryde. 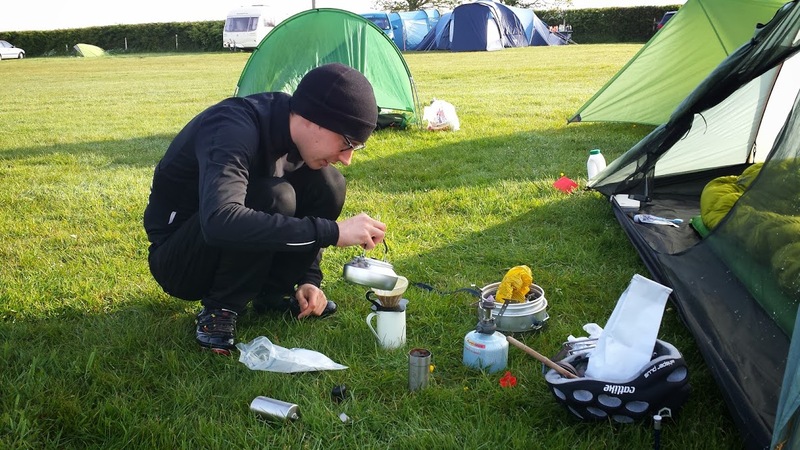 After a night at the carvery and then freezing in our tents, we woke to a sunny morning and an array of hot drinks to be made on the camping stove. Our campsite was a control point for the ride – this was to my first foray into the world of audaxing and its control points and stamps in cards. While waiting to set off I took some pictures of the crowd, and who should walk into shot? We set off in a group of 9 or so, riding around the island clockwise. Within 2 minutes I’d come across a man who’d dropped his chain so I stopped to help, happy to be able to use some of the things in my enormous saddlebag. About 15 minutes in I added my coat to the saddlebag as it was far too hot for so many layers. 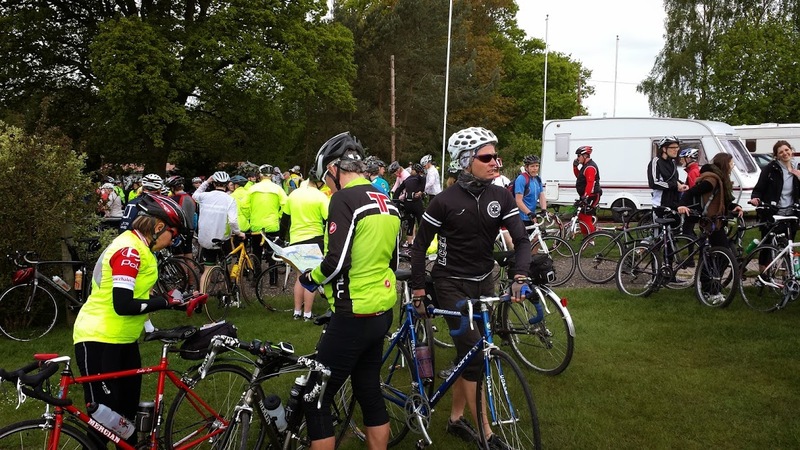 The route is – with the exception of one 50m stretch due to a diversion – all on small roads, making it a nice easy ride. We were a fairly mixed bunch so broke up into smaller groups reasonably soon, reconvening at the controls. The controls tended to be village halls or similar, with the exception of the last one (or first one, depending on how you look at it), which was a canopy in the campsite. The controls had refreshments for sale, the one in Yarmouth having the greatest selection of cake (though they had just sold out of vegan cake). 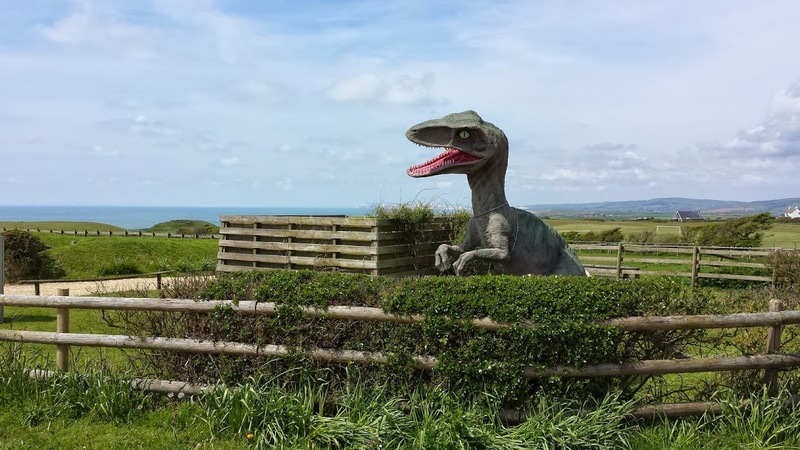 Tanya and I rode mostly together, which was good as we had similar strategies – a strategy which included stopping to take photos of the dinosaur statue and also to eat crisps sitting on the warm tarmac in the sunshine. She’d done a great job of striking fear into my heart with all the hills, but Blackgang, when we got to it, was no big deal. An ascent, sure, but not long and not steep. In fact, my main issue (and I griped about it a lot) was other riders. There were quite a few complete novices, who were a bit of a menace as they were weaving about a lot and were hard to predict. But nodders are fine, everyone’s used to nodders. The real menace came from those who knew how to ride bikes but still chose to ride like arseholes – choppers, to give them Oli’s description. The main chopper culprits rode for a Surrey-based cycling club, and after one of them threw a water bottle infront of me, another skidded through a junction nearly sending some other cyclists flying and they all seemed to use the phrase “on your right” to mean “move to the left, I want to get past”. I announced that I would be writing to their club chair, which I did. I have become THAT PERSON. I’m only slightly ashamed. By the final 20km we weren’t really enjoying ourselves and the mad dash to the shops in Newport to buy some meths (for the camping stove! honest!) didn’t help. 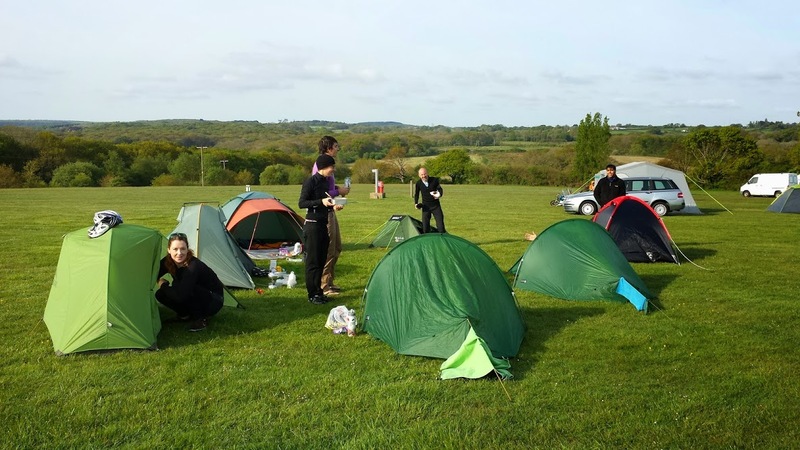 I was regretting bringing my enormous saddlebag and was pretty happy to get to the end, although I was then of course nearly taken out by a chump walking backwards across the campsite. 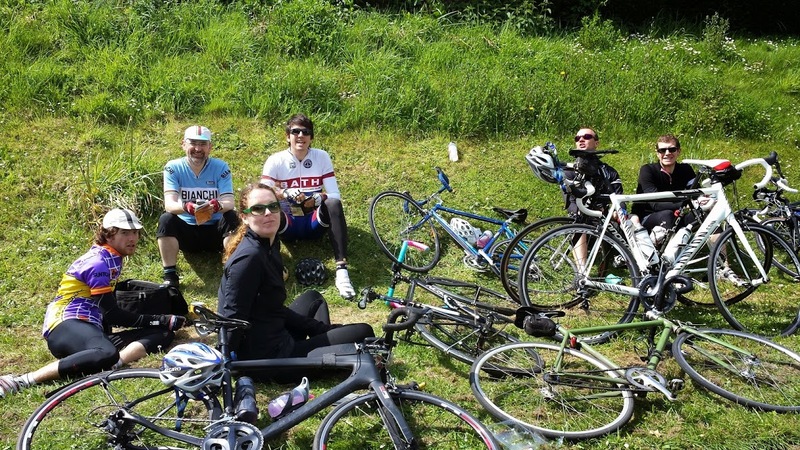 We celebrated finishing the ride by receiving our certificates, getting changed and going to the carvery, where we won the pub quiz – the prize being a voucher for the carvery, meaning we had to return AGAIN the following morning for breakfast. Here’s the link to strava, where evidence of pootling is clear for all to see.